Tired of getting up and crossing the room just to change the settings on your AC unit? The Kuhl Air Conditioner ($TBA) causes no such problems. 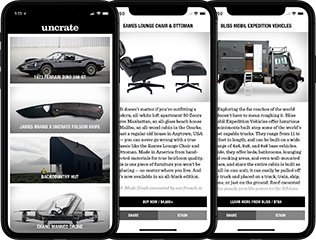 Thanks to a built-in Wi-Fi connection, you can control any new Kuhl — or, if you're a slum lord, a whole friggin' bank of them — directly from your phone, significantly cutting down the time you need to spend away from your beloved Barkalounger. Short of starting a fire where ever you happen to be, heat isn't the most portable of commodities — as a matter of fact, you normally need to seek out the great indoors to keep yourself comfy on cold winter days. Unless, of course, you have a Mr. Heater Hero ($170). 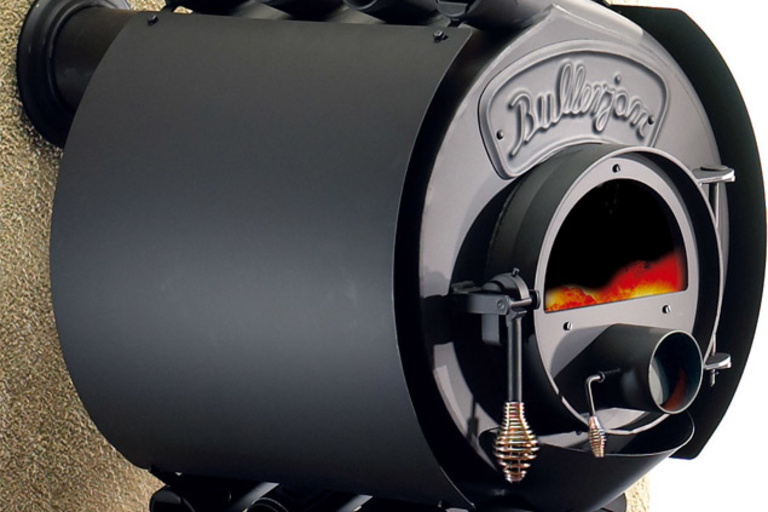 Powered by a standard propane tank and an integrated battery that runs for eight hours without the need to recharge, the Hero provides 35,000 BTUs of heating power, while its QBT burner system makes sure you retain your sanity with 50% less total noise than traditional forced air heaters. Great for the garage, tailgating, or remote man caves/camps. It's (almost) that time of year again: the time for jeans, hoodies, fires, and, if you work in a drafty office, space heaters. 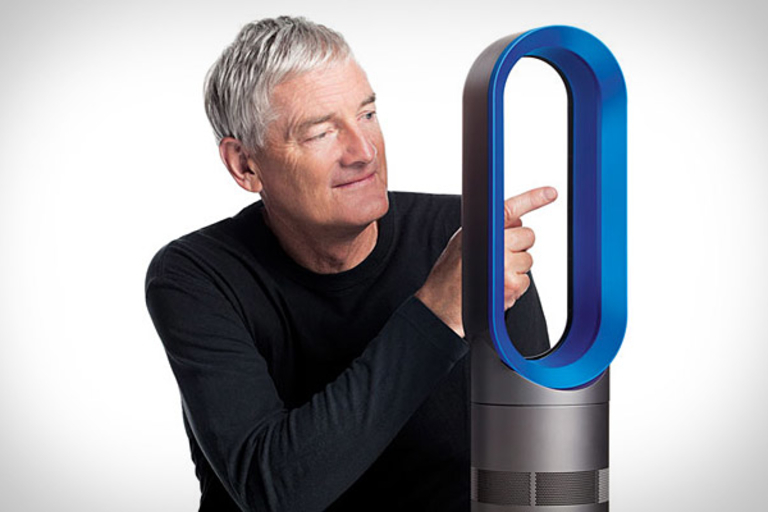 Instead of relying on some eyesore to keep you warm this year, upgrade to the Dyson Hot ($400). Built using the same technology as the company's Air Multiplier fans, the Hot uses bladeless technology — see, the old guy* still has his finger! — a heating element built safely into the base, a thermostat control, and an oscillating motor to push hot air across any space, keeping you warm and your area free of fire-hazards. Looking for a way to cool off this summer that won't spoil your carefully curated early 20th century vibe? 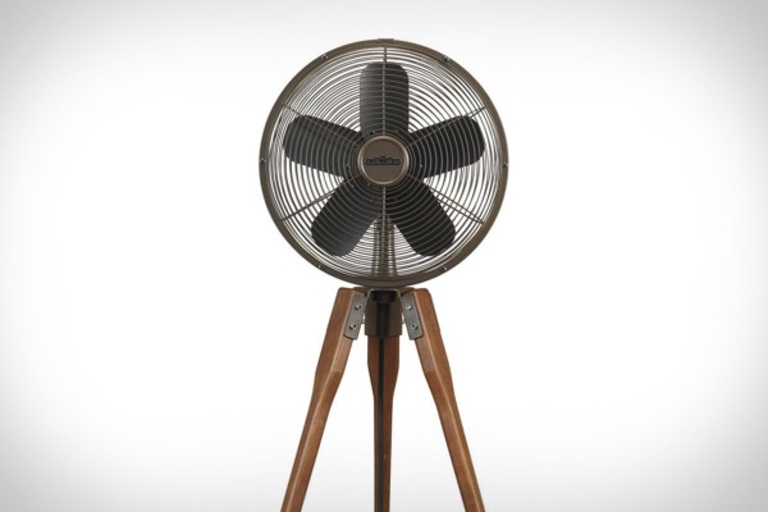 The Arden Fan ($335) is a fine choice, thanks to its walnut finish, tripod-style legs, and oil-rubbed bronze construction, while its three-speed 74 x 18 motor and 50 degree oscillation remind you that you're not really living in the past. Let's be frank: most of the time, you don't care what a fan looks like — you just need it to blow some air to cool you down. But for those times when you care, there a few fans cooler than the Stadler Form Q Fan ($200). Crafted from stainless steel and aluminum and designed by Carlo Borer, the Q has legs on only side, allowing its round form to join brilliantly with them to create that most inquisitive of letters. U.S. purchasers, get your 220V adapters ready — no 110V version is available. When it comes to heating a room or house in the dead of winter, who are we to argue with Canadian lumberjacks? The Bullerjan Furnace ($TBA) employs a crazy engine-like design to move air from the bottom to the top vents, heating it on the way by. Meanwhile, the unique design also allows for even burn up and lengthy heat retention, getting the most out of the wood it burns. Keep dry winter air from harming your skin, furniture, and overall health with the Stadler Form William Ultrasonic Humidifier ($230). This stylish ultrasonic humidifier can cover up to 1,000 square feet, and features an on/off time, a sleep mode, a turntable mist diffuser, an Ionic Silver Cube to ward off bacteria, an integrated hygrostat, and a maximum output of 3.5 gallons per day, meaning you might be filling up the 1.5 gallon tank more often than you think.